Multi day rafting trips offer thrills, camping on sparkling white beaches, varied scenery and hearty meals under starlight. Between September and November rafting is at its best with lots of grade 4 and 5 rapids. These adventures are between two and five days long. A trip like this can be the most incredible break from technology and life as you know it. 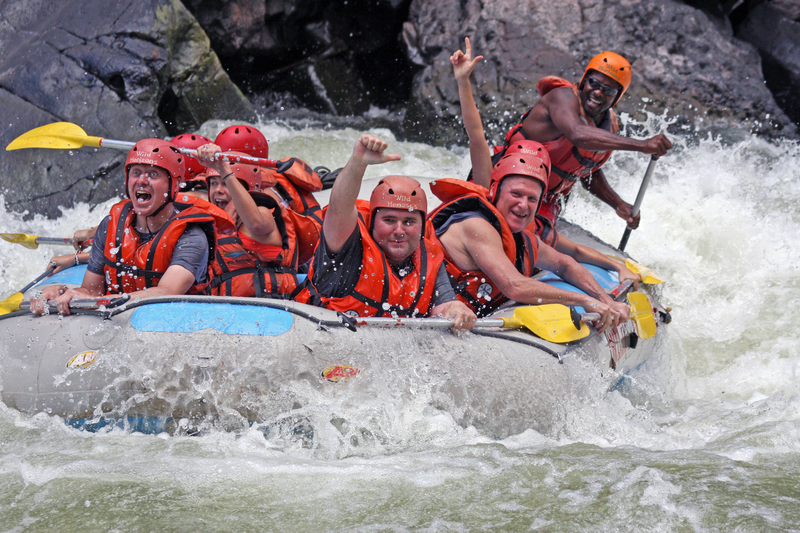 The proposed Batoka Dam may mean the water level within the gorge will rise and stop all multi day rafting within the next decade so this is an experience to do while you still can. 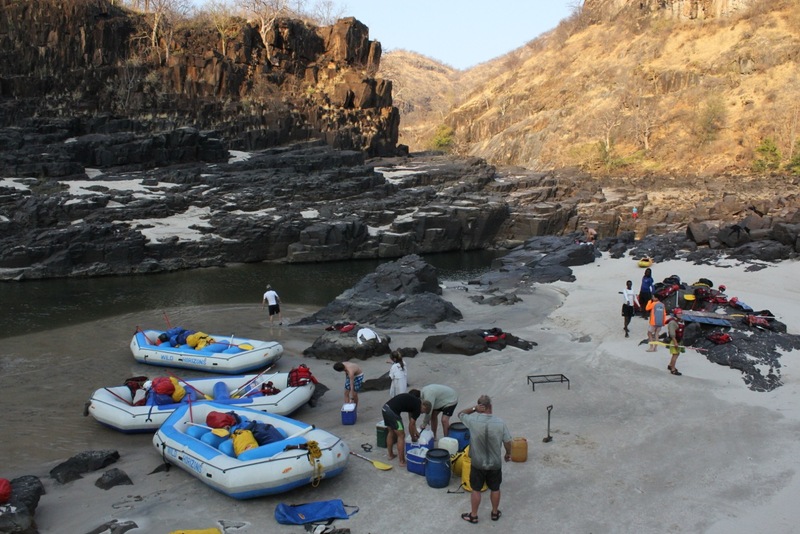 While our team of world-class guides will safely guide you through the rapids on our self supported expedition and explain the geology and fascinating history of this area. Each day, you’ll take away a wealth of information about this special place. Perhaps even more impressive than their knowledge of the Zambezi is their genuine, heartfelt connection to the river. With Wild Horizons’ guides having an average of over 19 years experience you are truly in good hands. Meals just taste better when they’re made outdoors. When rafting down the river, your guides will prepare delicious hearty meals seemingly out of thin air. Plus, with advance notice, they are happy to accommodate any dietary restrictions and requests. There’s nothing better than rising as the sun illuminates the towering walls above, to the smell of bacon and eggs on the fire. Two words ‘beach campsite’! There is something wonderful about ending the day and setting up camp on a private, white sandy beach overlooking the beautiful river. You probably don’t think about beaches in Zimbabwe, but they’re here. Sink your toes in the sand, crack open a cold beverage, and go over the day’s adventures in your mind as the canyon walls turn gold with the setting sun. 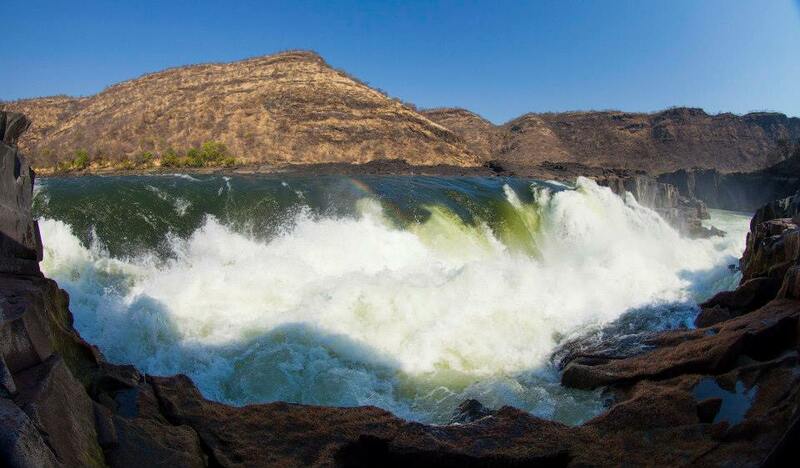 Within minutes of being on the river you are a world away from the buzz of Victoria Falls and modern life. Having no cell phones, internet or distractions allows you to connect with the environment and people around you. You’ll find yourself completely connected to the moment you are in and the new smells, sounds and sights that surround you. If you want to escape on a “real holiday” where there are no phones, computers or stress, this is the perfect vacation for you. Sheer rock walls arise hundreds of meters above the river. On longer journeys basalt rocks give way to grassy banks and the grunts of vocal hippopotamus carry across the water. Rapids are interceded by calm stretches of crystal clear water where you can take a relaxing swim and watch the spectacular gorges, thick with vegetation. The Songwe gorges, home to the threatened Taita falcons, are incredibly beautiful and seen by few tourists. There’s something about a shared experience outdoors that lends itself to friendships. Perhaps it’s the quiet nights spent chatting around the campfire whilst stars twinkle overhead, or the excitement and teamwork that comes with navigating a class 5 rapid together but few people leave without exchanging details. And if you travel with friends or family you’ll find those connections strengthened by the time spent together and unique memories made. In 2016 Wild Horizons has added set departures to our multi day rafting trips, perfect for solo travellers and smaller groups.